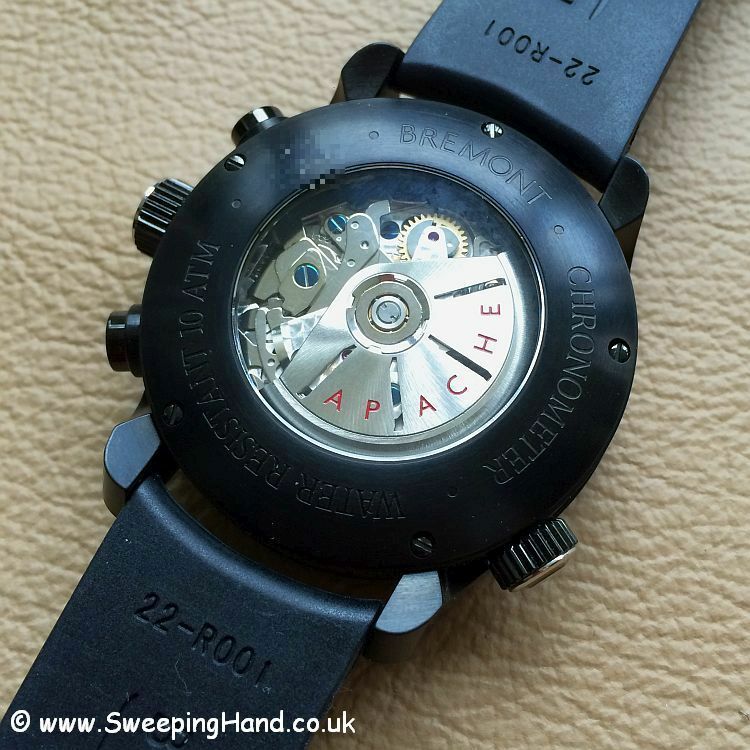 Thread: BREMONT APACHE AH-64 - 1 of only 34 - REDUCED TO CLEAR!! 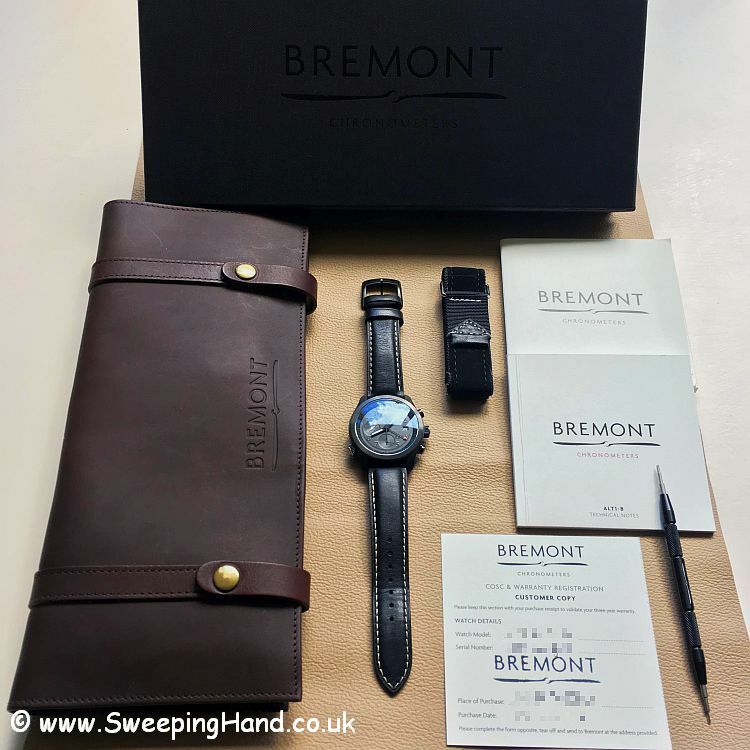 Here is a rare chance to purchase a 'Bremont Military' Apache AH-64 helicopter pilots watch from a current serving Apache pilot. This limited run of only 34 watches was only made available to serving AH-64 Apache Longbow crews from the Attack Helicopter Force at Wattisham Airfield, UK. Pilots had to have served at least two tour of duties in Afghanistan. The owner of this watch was commissioned as a direct entry pilot into the Army Air Corps in 2007. Deployed with three Apache Squadrons 654, 664 (4 Regiment) and the last Squadron to fly in Afghanistan 662 (3 Regiment) 2014. The inscription on the rear of the watch is the tail number of the first Aircraft he flew on offensive operations and comes with logbook entry proof. He has been involved in numerous engagements and fired 15,000 x 30mm, 400 x CRV7 Rkt, 16 x Hellfire and is a front line Apache Flying Instructor and Weapons Instructor. He continues to fly in Apache supported deployments throughout the globe. The watch will come with a brief career resume of the owner. 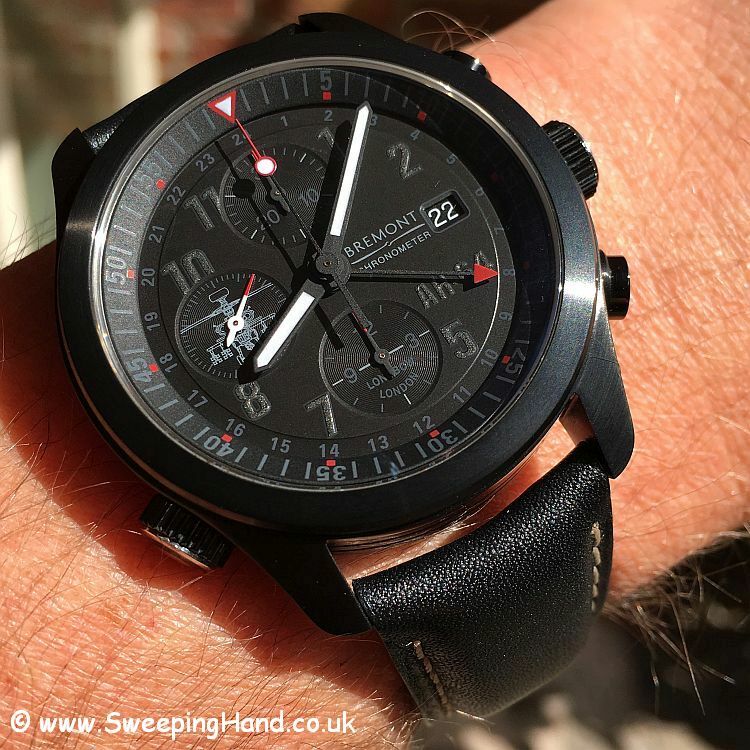 Based on the Bremont Alt-1B chronograph watch and just like the legendary fighter helicopter, it is full on stealth mode in a black pvd and in very good condition. It comes on a black leather strap and with additional nato velcro strap. The dial is unique with the Apache helicopter in the sub dials and on the rotor visible through the transparent caseback. The caseback also shows the limited issue number and serial. Obviously all boxes, booklets, guarantees and strap changing tools are all present also. Asking price is £4,995 and I can ship fully insured worldwide. I can ship fully insured or and am happy to meet in person if that works geographically. Obviously it will come with the www.SweepingHand.co.uk guarantee that it is 100% all correct and original. Any questions please email me direct on jpgraham @ hotmail.co.uk (no spaces) for quickest answers. A rare chance to purchase a watch never made available to the public and only produced in a very small limited run. Please note that these are not Ministry of Defence issued kit watches but a special edition watch made by Bremont Military for a select few Apache pilots. The MOD budgets sadly these days do not provide watches of this sort of value to personnel!